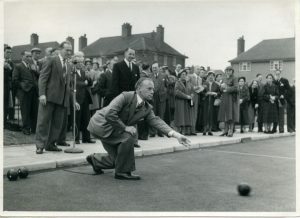 The Bowling Green in the centre of the colliery village was opened by the Bolsover Colliery Company Agent T.E.B. Young in 1932, who later became Managing Director of the Bolsover Company. This photo shows the pavilion in the original position between the Green and the Tennis Courts. 1940s. 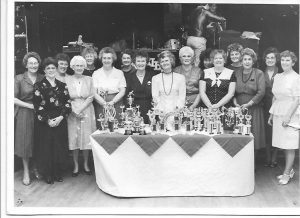 The Thoresby Colliery Bowls Club soon had one hundred and fifty members, this was a popular sport for both men and women, the Bowls Club were given two cups for their competitions and the yearly membership was just sixpence a year. 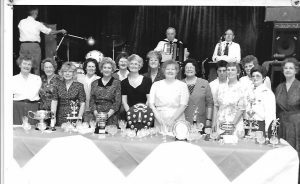 For many years the centre of the village would be a hive of activity with both men’s and ladies’ competitions involving teams from other colliery villages. 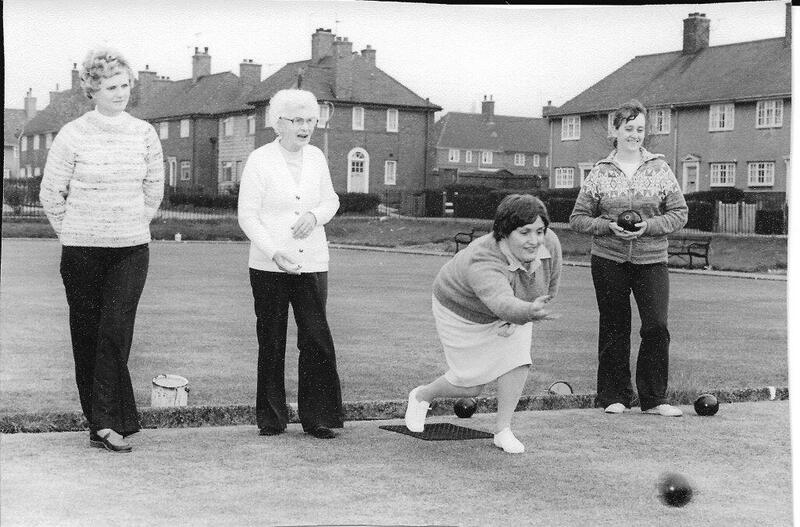 Seats around the greens were always full of local spectators enjoying an afternoons sport. 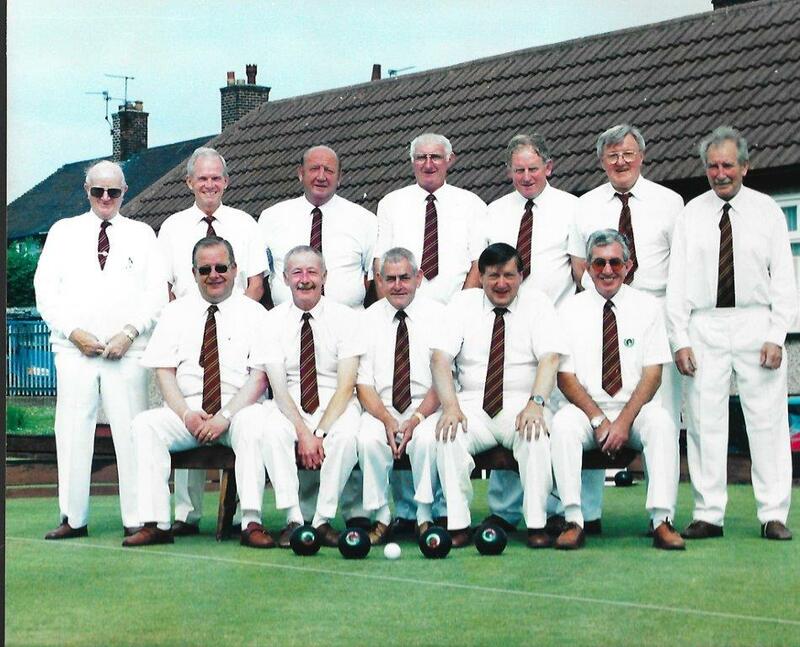 In the 1980’s, the men’s Bowls Club had around 45 members, during this time they had moderate success winning the Mansfield & District Bowls League and the Skinner Cup. 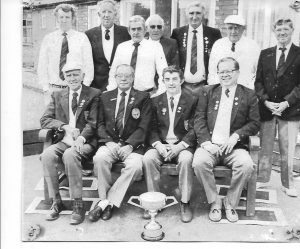 Their greatest success was in 2000 when the team won the Brian Lee County Cup and reached the quarter finals of the E.B.F Nationals. 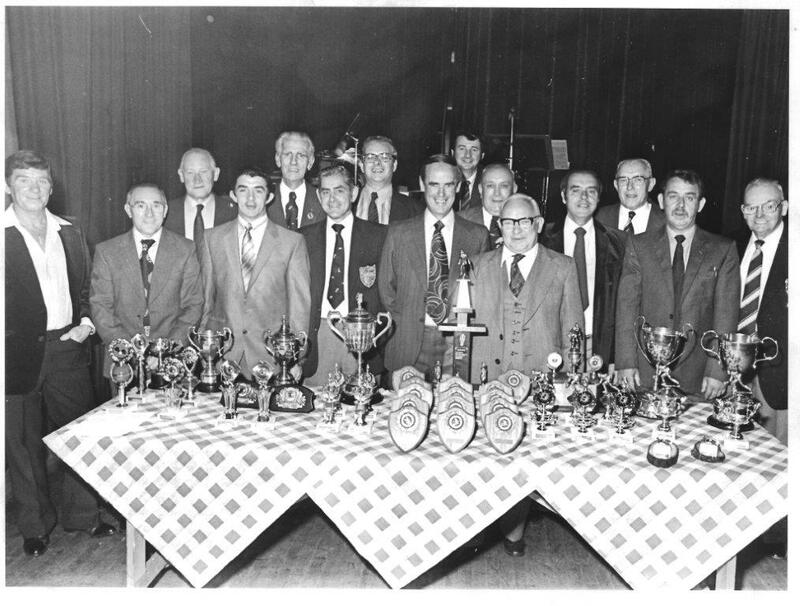 Back row; P. Clark, F. Chappel, B. Sugden, ? ? ? ? 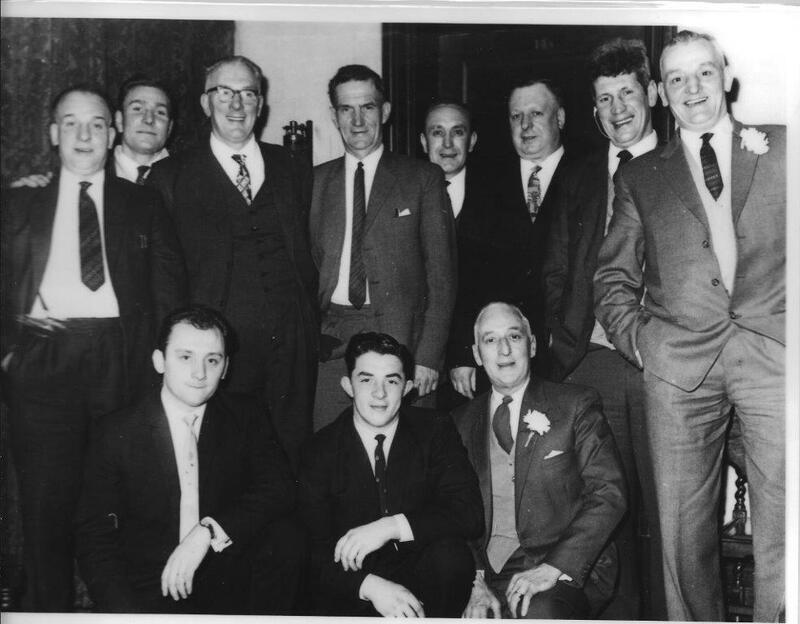 D. Radford, F. Hallam, N. Higginbotham, Front row: P. Walker, H. Cliff, A. Woodland, ? M. Birdsall, N. Stubbs, I. Mitchell, I. Winterburn, K. Thorpe. 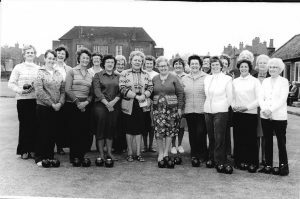 A new ladies team was formed in 1982 by Iris Michell with Nora Stubbs as the President, rolling the first wood on the green in a friendly match. 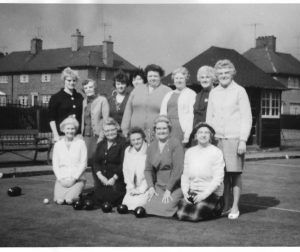 Freda Hallam and Nora Higginbotham two members from the first Ladies Bowls Club helped with the formation of the new club. 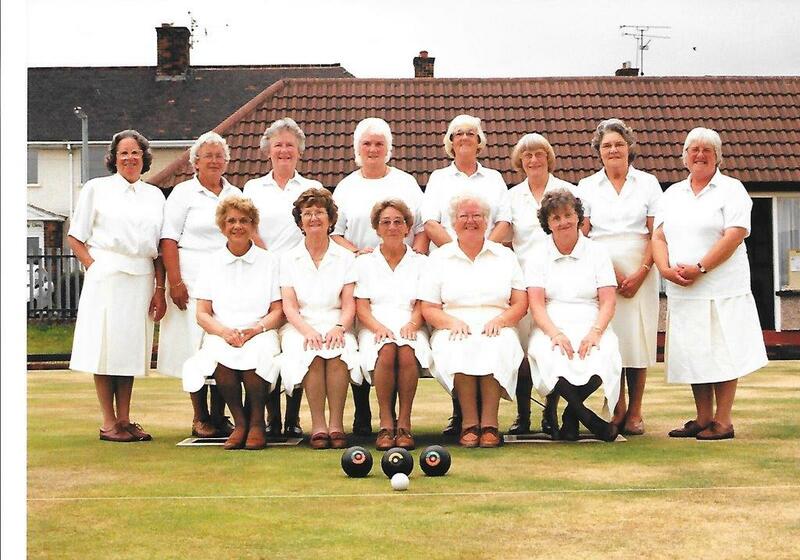 For many years both Clubs took part in the annual Bowls Week Competition at Skegness. 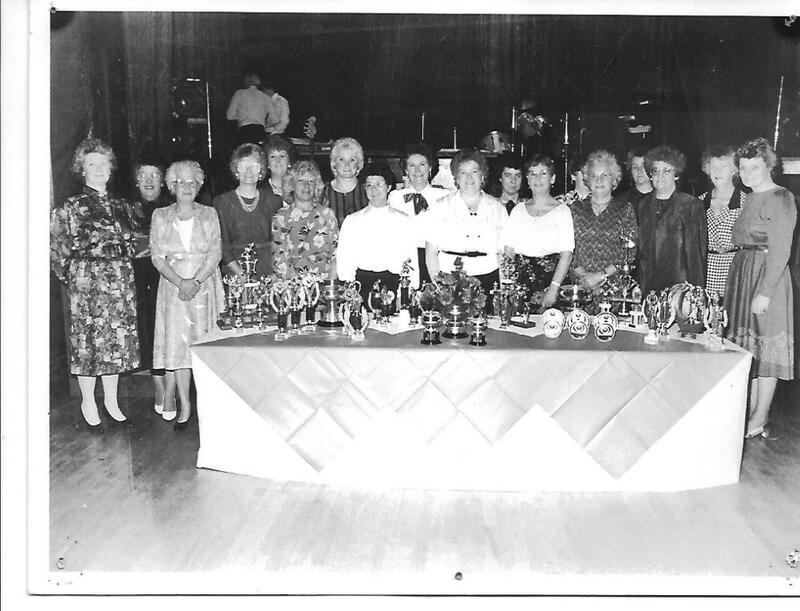 Brenda Sugden and Brian Melling won the Jolly Fisherman Trophy in the mixed pairs, also Brenda and June Stevenson won the Jolly Fisherman Trophy for the ladies’ pairs. 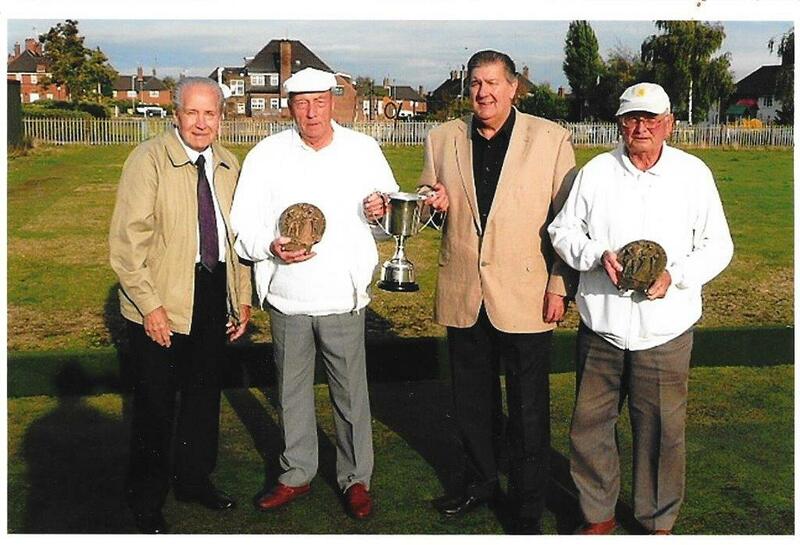 Due to falling membership, the Club slowly declined and after nearly eighty years ended the traditional link with the Colliery and the name was changed to Edwinstowe Bowls. 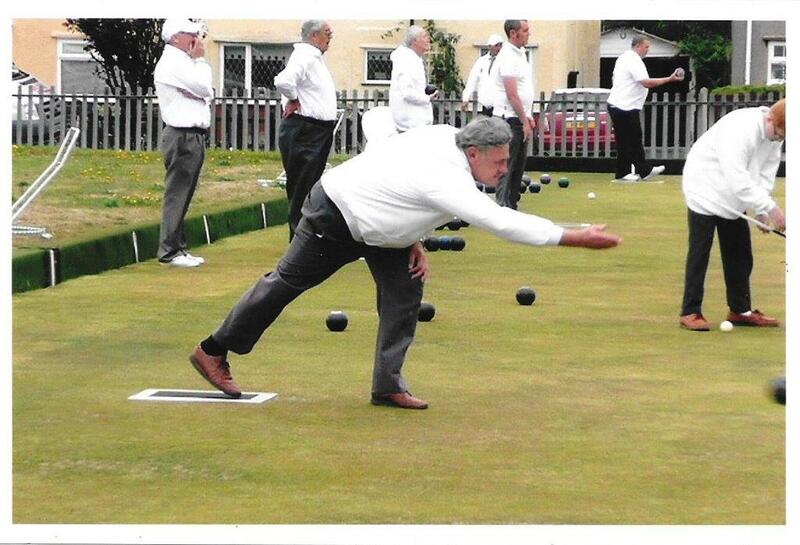 2017 saw the last wood on the bowling green in the centre of Edwinstowe. Sadly, once again the end of another era in the colliery village. 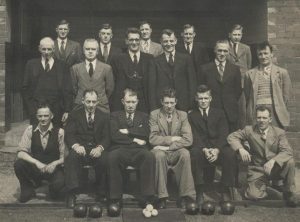 Bowls Club 1940s. 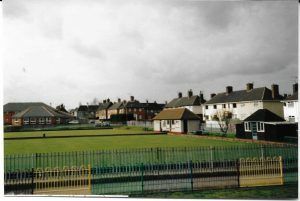 This photo shows the Pavilion in the original position between the bowling green and the tennis courts. 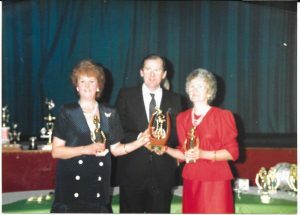 Rose Morris is in the centre. My mother, Rose Goodwin, was born in 1895 in Coal Port, Shropshire. Life was not going to be easy for this little girl, on her fifth birthday due to a childhood accident she had her right leg amputated. However, according to her 3 sisters and 3 brothers she grew up to be a brave and intelligent woman. 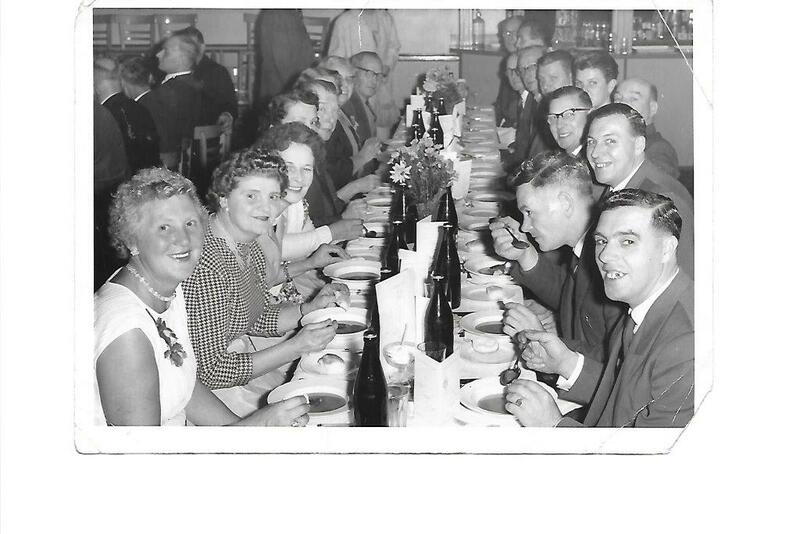 After the 1st World War, my father Harry Morris, was de-mobbed and married Rose and had two girls. 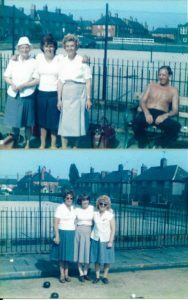 During that time, the local mines closed so reluctantly my dad and mum decided that Nottinghamshire would be the place to move to as pits were opening. 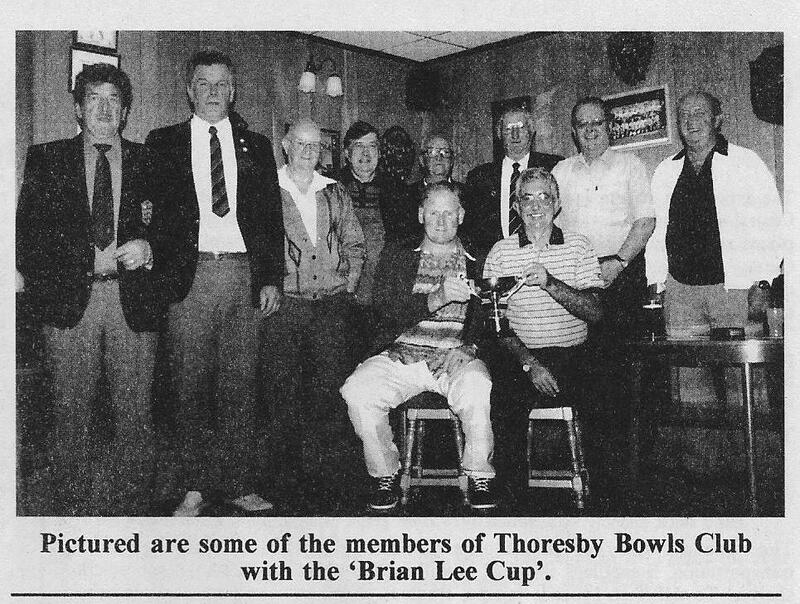 Eventually my dad began work at Thoresby Colliery. My mum had to leave her supportive family and friends behind. However, Rose got on with her new life in Edwinstowe, bore two more children, a son and daughter (me). She became the typical housewife of the time, cooking, cleaning, laundry, caring for her husband and children. Many women had the same bleak life in those days, but my mother’s life must have been a challenge with her disability. 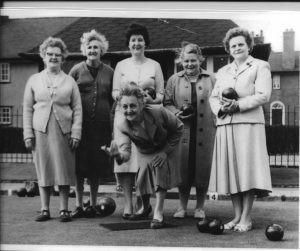 In the 1940s, Rose applied to join the Ladies bowls team; however she did not have the most welcoming reception from one or two of the team members. 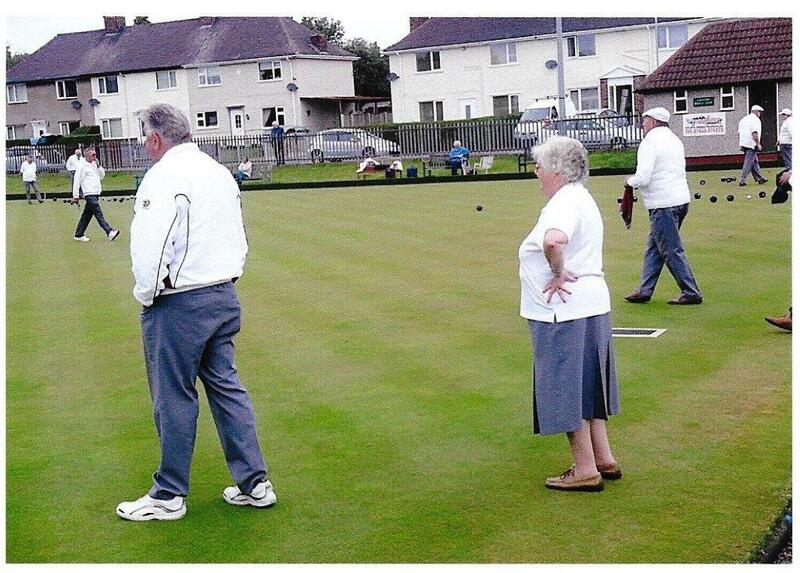 They thought Rose’s disability would not be conducive to playing in a Bowls Team. 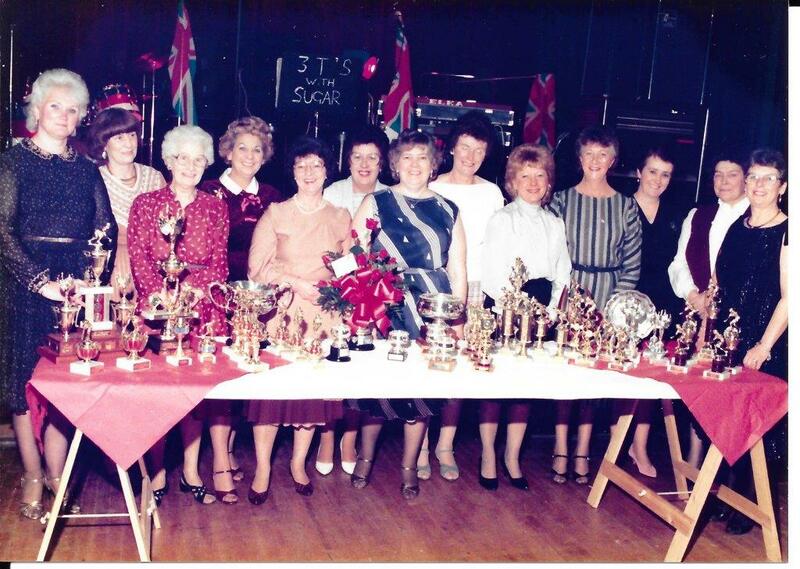 These few ladies were outnumbered and Rose became a proud and dedicated member, eventually being elected Captain a position she held until her untimely death age 60 years. It was a grievous loss to her family. 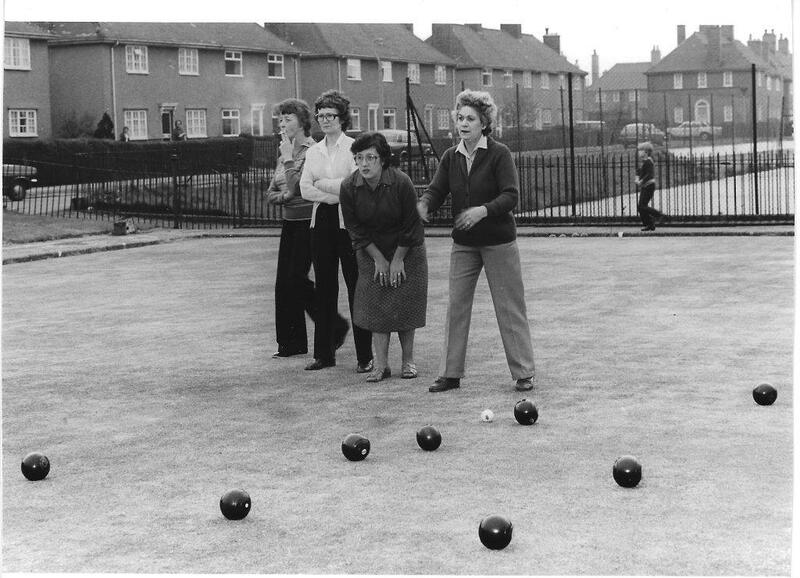 In the Bowls games, the ladies became independent thinking people in their own right (a great triumph for women in that day and age). My mother eagerly awaited their games in the Spring and Summer months. 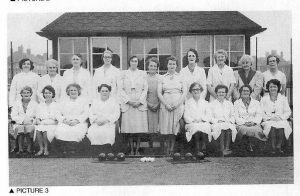 There were also Games at other Colliery Greens too which they were transported by Morleys (local) bus driven by Tommy Hind. 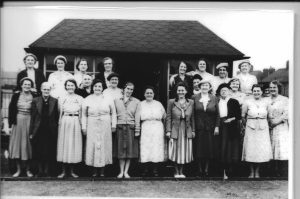 During school holidays I joined my mother on these excursions and even at that early age I realized the ladies discovered their individualities which had previously been hidden by their home chores and commitments. A new world for these busy hum drum lives.